Open to all Lifestyles, Single Females and Males, and Couples. This event is open to everyone and all lifestyles. Singles and couples welcomed. This weekend is dedicated to our Exhibitionists and Voyeurs. 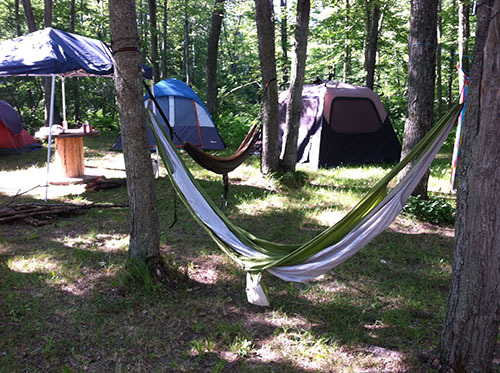 Come and play in the open and enjoy the freedom to do as you want in our 60+ Acre campground. Last Year Marv (the owner) gave away free weekends to a couple he saw f_cking the most through out our campground. Don’t miss out on the action packed weekend of a lifetime. All chalet rentals are available for two-nights or three-nights with additional nights at an event rate. Check-out time is 12 noon. If you stay past that time, you are charged for an additional night. Event + Primitive Camping (white ticket): Choose this option even if you do not intend to tent camp. Primitive Camping is free with your paid Event fee but feel free to upgrade to any of the Additional Options listed in Step 2. Day Pass Tickets are for those of you who would like to check out the party on Friday night only. Saturday Night Day Passes are available for purchase. Both sold at gate. Weekend Pass Tickets are for those of you who would like to check out the party each night but not stay overnight. This ticket is valid for Friday and Saturday only; sold at gate. Full Hook-up: This is a site that has both Electric and Water. Select sites also have a sewer drop. Please specify if you require sewer when making your reservation. Qty of 1 is for your entire stay of an event. Electric: Sites with electric only. We currently offer 30 and 50 amp services. Please specify what amp service you will need. Qty of 1 is for your entire stay of an event. Chalet: Rent this 12' x 16' chalet right on the pond - choose from Shadow or Southern and enjoy the views from your own front porch! Qty of 1 is for your entire stay of an event. 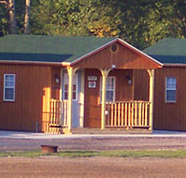 The Honey Moon Suite & Marv's Retreat are 14' X 24' and have 1 King bed with mirrored Canopy, shower, Handicapped stool, air conditioning, sink, refrigerator, microwave, cloth closet. Carpet in the living area & Vinyl in the bathrooms. 2 Night Minimum. They both have porches overlooking the lake. Cabin: 12' x 12' of rustic luxury. Choose from Hillbilly Holler or Ole/Lena (sleeps two comfortably). Qty of 1 is for your entire stay of an event. 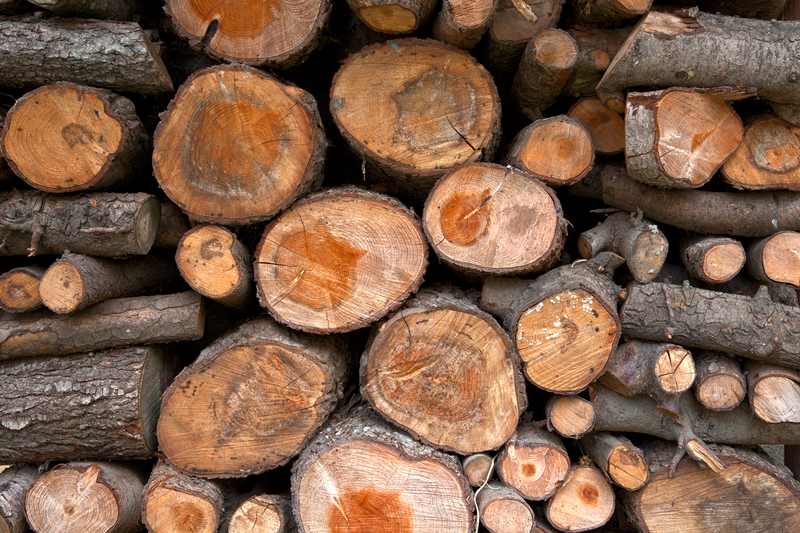 Wood: Pre pay for the wood you think you'll need and we'll deliver it to your site as needed. Select the Qty of loads you want. 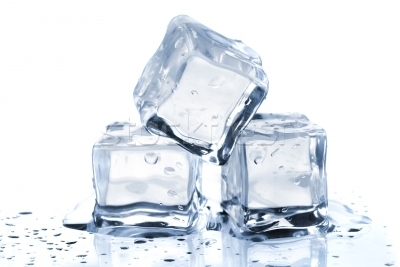 Ice: Order your 6lb bags of ice now and we'll drop it off as you need it! It's easy & convenient! Select the Qty of bags you want. Note: in the 'comments section', please include the names of everyone in your party. Thank you! By continuing with registration, you agree to the Camp NCN Rules. No refunds within 45 days of event. 30 Amp Electric Site (Electric site only for entire event) (Weekend Rates - 2-4 nights) Includes Tax. 30 Amp Electric with Full Hook-up Site (Electric, Water and some with sewer drops. Weekend rates (2-4 nights) Includes Tax. 50 Amp Electric with full hookup site (Electric, Water and sewer drops. Weekend rates (2-4 nights). Includes Tax. Hillbilly Holler Cabin (includes refrigerator, air conditioner, and heater). 1 Queen Bed. Price includes two nights at $60 + 5.5% sales tax. Ole/Lena Cabin (includes refrigerator, air conditioner, and heater). Two nights. 1 Queen Bed. Includes sales tax. Ole/Lena Cabin (includes refrigerator, air conditioner, and heater). Extra night in either Hillbilly Holler or Ole/Lena. Must purchase two night package first. 1 Queen Bed. Includes Tax. Additional Person (after second)per cabin or chalet.$25 + tax. Honeymoon Suite 1 King bed with mirrored Canopy, shower, Handicapped stool, air conditioning, sink, refrigerator, microwave, clothes closet. Carpet in the living area & Vinyl in the bathrooms. Porch overlooking Lake Includes Tax. Two night rate. Honeymoon Suite 1 King bed with mirrored Canopy, shower, Handicapped stool, air conditioning, sink, refrigerator, microwave, clothes closet. Carpet in the living area & Vinyl in the bathrooms. Porch overlooking Lake three nights. Includes Sales Tax. Marv's Retreat 1 King bed with mirrored Canopy, shower, Handicapped stool, air conditioning, sink, refrigerator, microwave, clothes closet. Carpet in the living area & Vinyl in the bathrooms. Porch overlooking Lake Includes Tax.. Two night rate. NEW FOR 2014! Marv's Retreat 1 King bed with mirrored Canopy, shower, Handicapped stool, air conditioning, sink, refrigerator, microwave, clothes closet. Carpet in the living area & Vinyl in the bathrooms. Porch overlooking Lake Three nights. Includes Sales Tax. Additional Nights for Honeymoon Suite/Marv's Retreat Must purchase 3 night package first. Includes Tax. 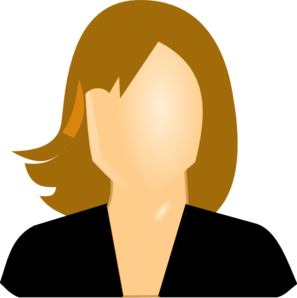 Ice . $2.25 + tax. Includes 6 lbs of Ice. Load of Wood . $20 + tax. Includes an estimate of 65 pieces.